Many current smartphones utilize some degree of haptic technology--that is, tech that stimulates a user’s sense of touch to communicate information. As of now, the haptic feedback systems are pretty basic: When you touch a "soft" key (one that appears on your touchscreen, as opposed to a key on a physical keyboard), the screen or even the entire phone will vibrate, simulating a click. But using the research of Ed Colgate, mechanical engineering professor at Northwestern University, poking a touchscreen could soon make the touchscreen poke back. His idea depends on changing the direction of the screen’s vibration. Right now, screens vibrate laterally, in the plane of the screen. Colgate introduced vertical oscillations, so that the screen vibrates in and out—which will modulate the amount of contact between the finger and the screen, which will fool your finger into believing it’s touching a texture completely different from that of coated glass. Tiny lateral oscillations along with the vertical ones would stretch the finger’s skin receptors in the same way that touching something with depth would, simulating the dips and hollows and ridges that appear on a physical keyboard. Vincent Hayward, a researcher at the Institute of Intelligent Systems and Robotics at the Pierre and Marie Curie University in Paris, was able to try out Colgate’s prototype at a recent haptics conference in Turkey. Of the prototype—currently just a piece of glass that vibrates with an amplitude of less than a micrometer—he says it feels “like the surface is coming to life under your fingers”. 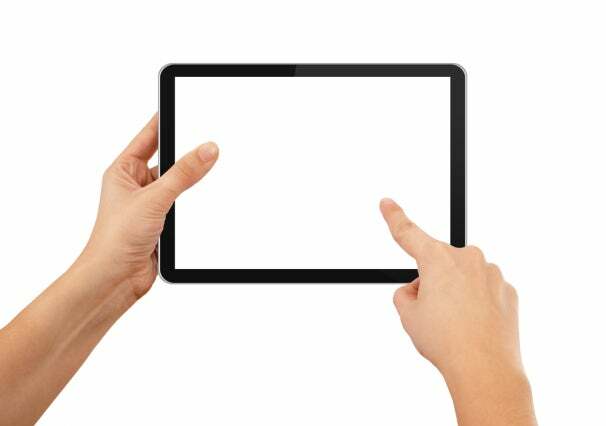 He and Colgate agree that there are no barriers to implementing the technology on a touchscreen. The idea of simulating textures on a phone is captivating—think of what you could do with Angry Birds! Not only that: we’re closer than ever to realizing the dream of slapping someone through the Internet.